It has become second nature for drivers across the country to turn their headlights on at night, during harsh weather, to let others on the road know where you are, and whenever visibility becomes difficult when driving in unfamiliar areas. These extremely helpful lights are so important that states have designed safety laws around them to keep people alive on the road. Most states require that their drivers have two functioning headlights on the vehicles. You must turn on your headlights when it becomes dark outside. Some states require headlights to be turned on 30 minutes after sunset until 30 minutes before sunrise. Headlights must be turned on when visibility is low. Some states, like California, New Jersey, and New York require the use of windshield wipers in addition to headlight usage during harsh weather. You may be required to turn on your headlights during construction zones. High beam headlights can be used to improve driving visibility but must be turned off when you are approaching oncoming traffic in some states. Some states also require bicyclists to equip their bike with front and rear headlights if they are riding at night. Breaking these laws could result in a traffic ticket. 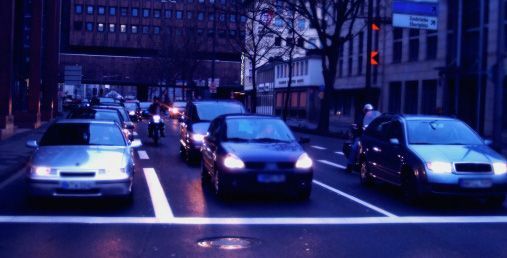 One of the best ways to avoid getting any tickets because of breaking headlight laws is to consult with your state’s vehicle code and keeping up to date with the laws of the road. Your state’s driver handbook is another great resource that will offer reliable information. While you’re at it, you might as well read up on your state’s new traffic laws and other existing rules so that you will always be in the know.